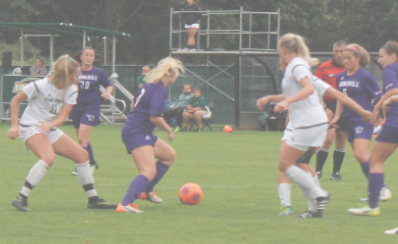 Just like the men’s soccer team this week, the women’s soccer game against American International College on Saturday, Oct. 7 ended in a tie of 1-1. The tie extends the team’s unbeaten streak to six games, which is the longest streak of their season. Both teams’ shots on goal were mostly even throughout the first period, with American International scoring one. The game’s tide turned around during the second period, when the Pioneers were on top of their game. The women’s soccer team has its next game Wednesday, Oct. 11 at Queens College, game time to be determined.